This past weekend I headed down to Dallas, Texas for the Pinners Conference with Michaels. I’ve never been to a Pinners Conference before, nor have I been to Dallas, which made this trip even more exciting. 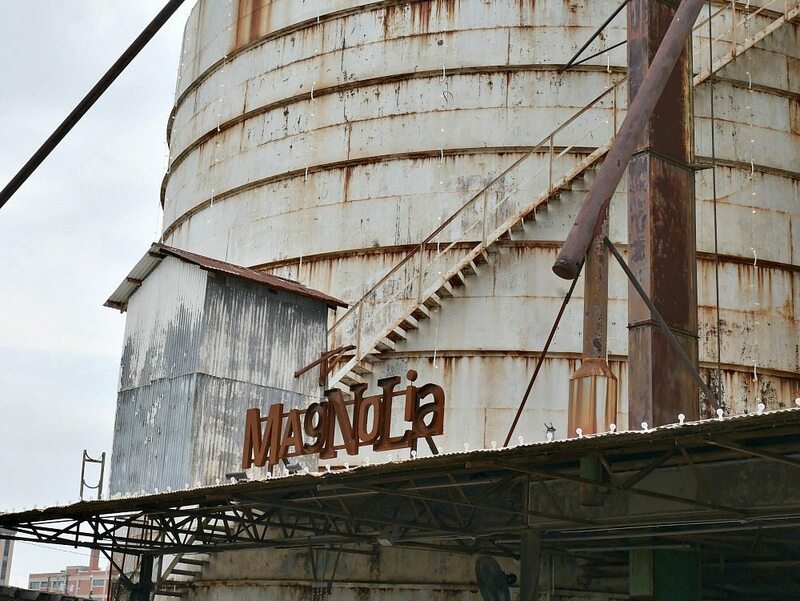 I figured since I was only 1.5 hours away from Waco it was only appropriate that I take the extra road trip and head down to Magnolia Market and take a look at the empire Chip and Joanna have built down there! I know many of you are huge Fixer Upper fans and plan on taking a trip down to Texas at some point (or maybe you already have!) 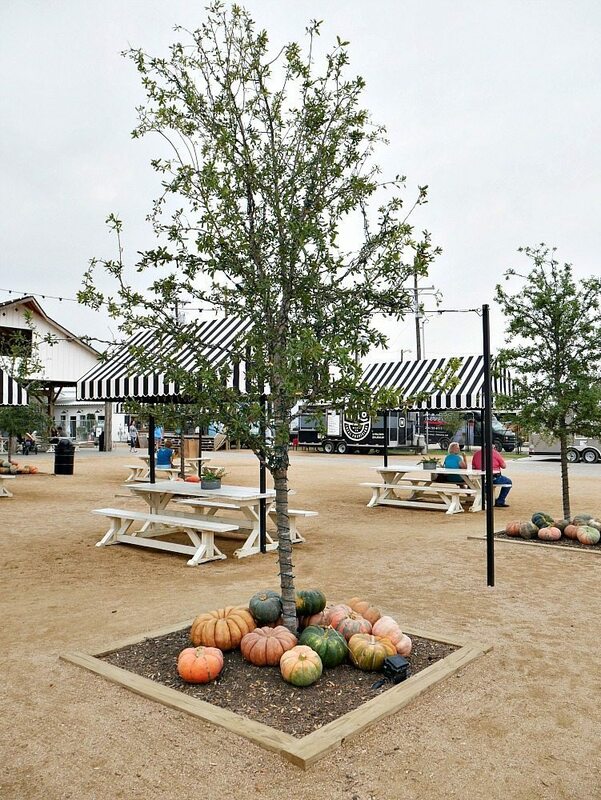 so I thought I’d share my experience Visiting Magnolia Market and Waco! After our 1.5 hour drive through super flat land and lots of beautiful farmlands, we ended up in Waco. Almost the second you drive into the town you can spot the massive Silos off in the distance. They are hard to miss! And then you drive up to the most beautifully decorated block in the whole town, filled with white building with black trim, beautiful landscaping and twinkle lights hanging all over. It has Joanna written all over it. Naturally. It’s gorgeous. But it is small. 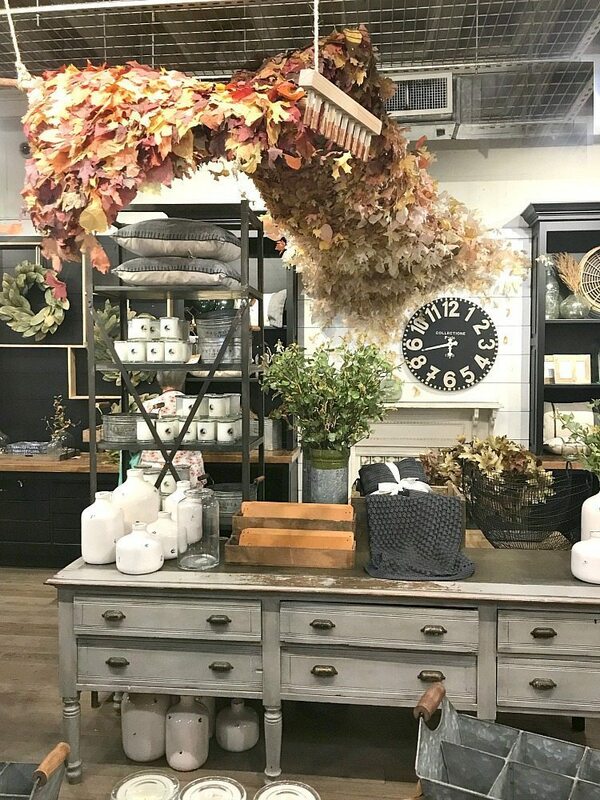 Right when you walk in there is this huge cascading display is maples leaves that is seriously one of the most amazing things I have ever seen in a store. 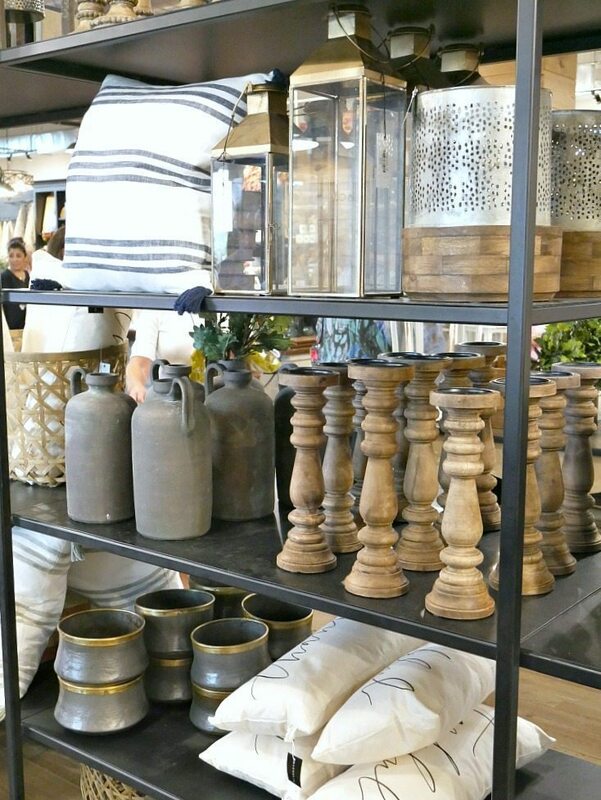 It reminded me a little bit of something you would see in Anthropologie. It’s gorgeous, makes a huge statement and I love seeing nature used in this way. I was instantly drawn to the black built-ins. 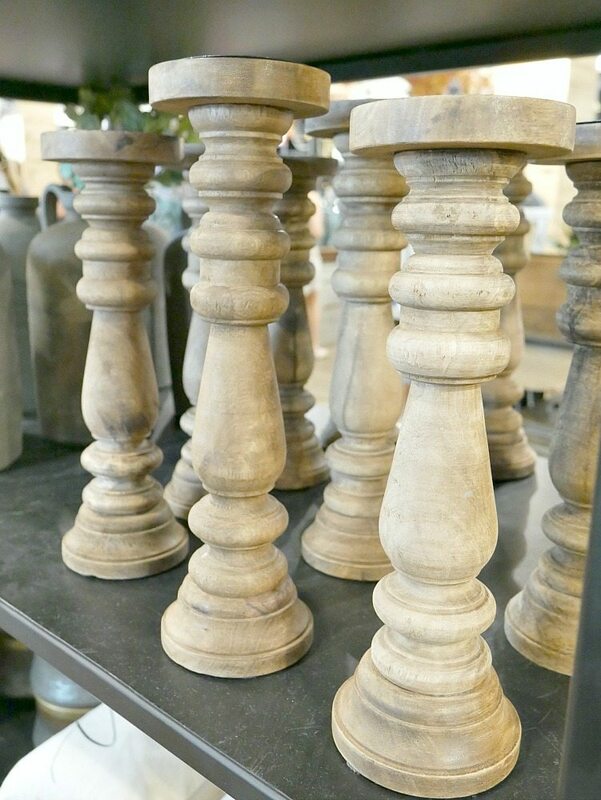 They are definitely more modern than the rest of the store and I love how the white and natural wood pop against them. We are planning on doing black built-ins in our media room and this gave me so many ideas. 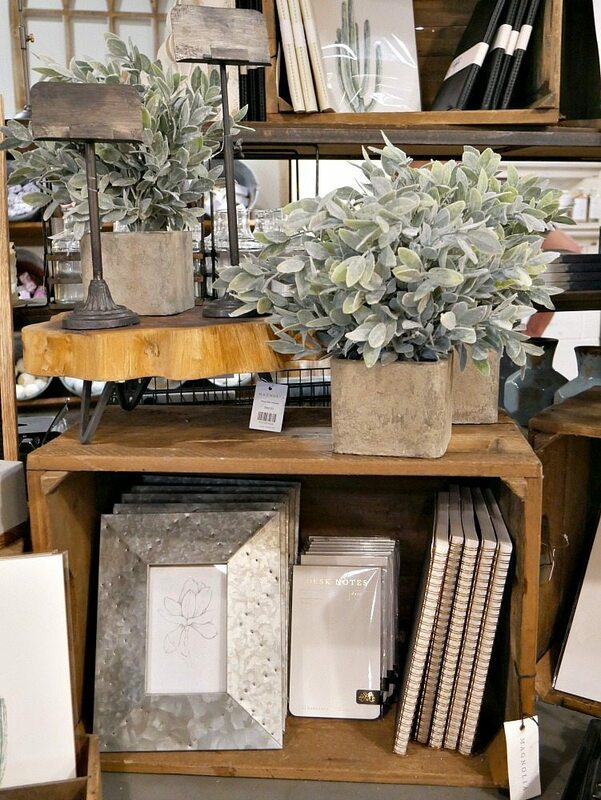 The Magnolia Market shop is absolutely stunning. 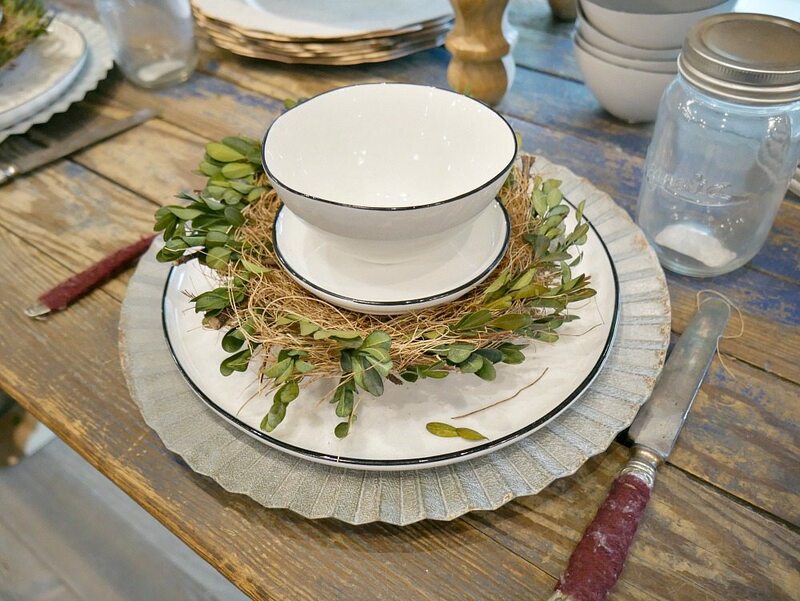 It is beautifully styled, no surprise there, and I found myself looking at all the details so carefully. 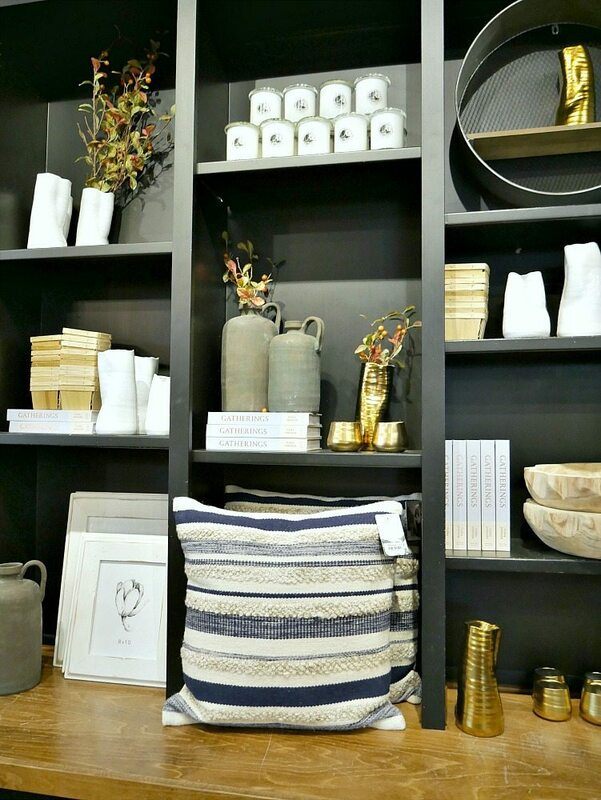 I love the art of styling and studying vignettes and this was eye candy to the fullest. 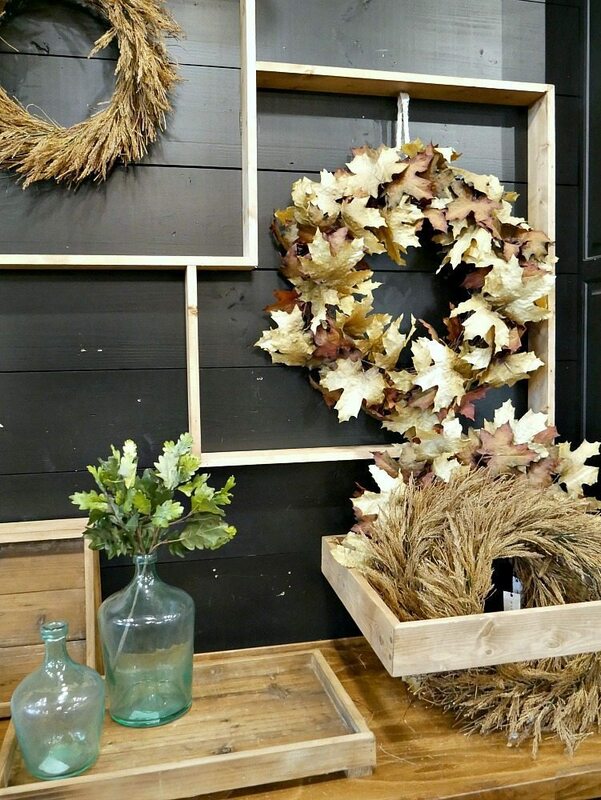 I love how they built these simple wood frames for this wreath display. When planning our trip, I was worried we wouldn’t have enough time to walk through everything and I completely over estimated how much time we would spend there. It only took us about 1.5-2 hours to really walk through the entire store and the property and that was really taking our time. I think I walked through the store 3 times just to make sure I didn’t miss anything. 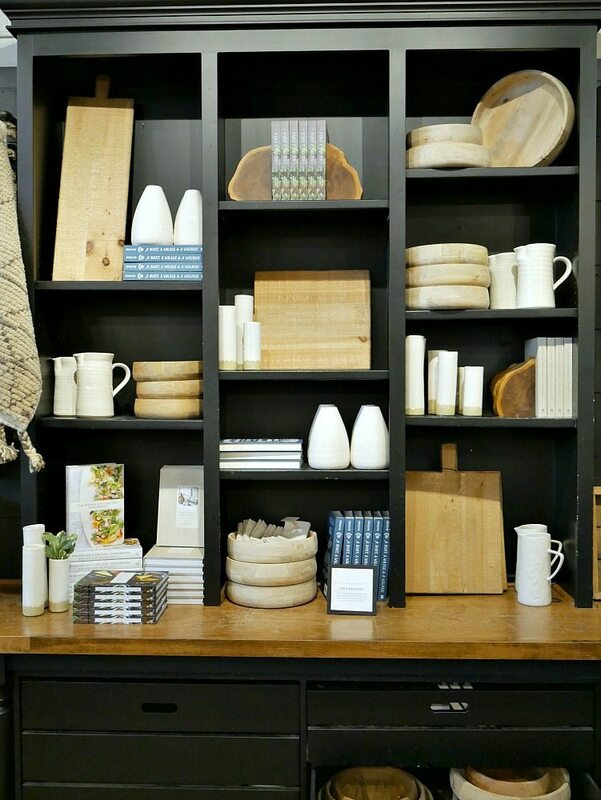 The whole layout of the store is really well done. It instantly draws you in and there is so much to look at. There are so many details everywhere. 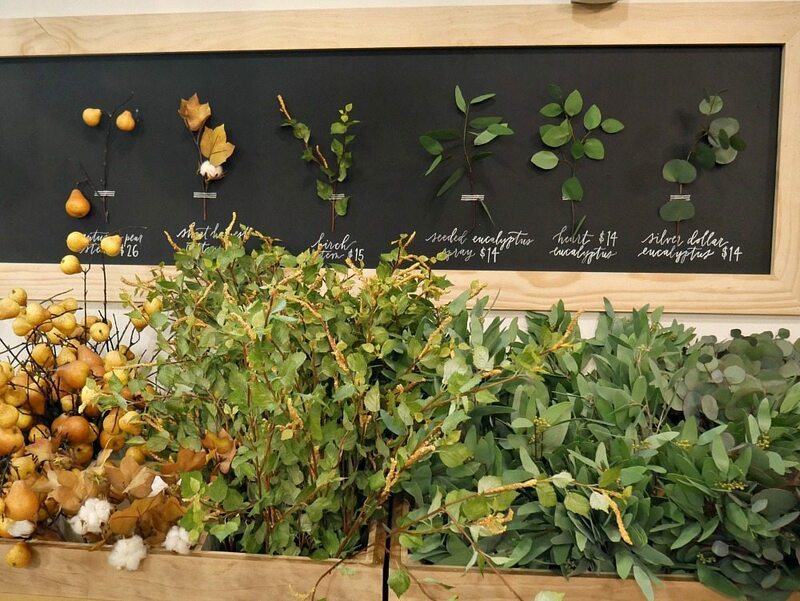 Speaking of details, there is this big display of faux stems and I love how they did the chalkboard behind it with the names. It’s so cute. 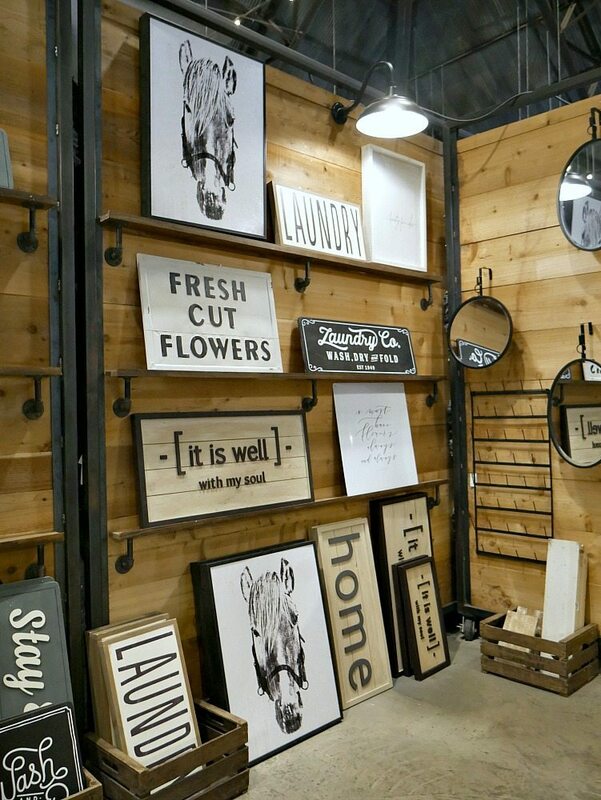 The back half of the store is one big rustic warehouse filled with t-shirts, small gifts and big prints and mirrors. 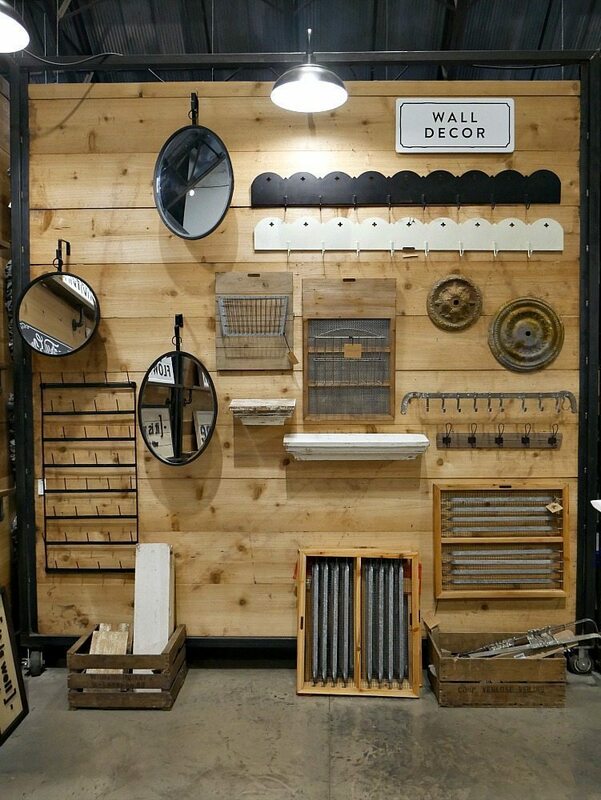 It has a really cool industrial modern look and feel to it. There is also a huge display of all their paint colors. 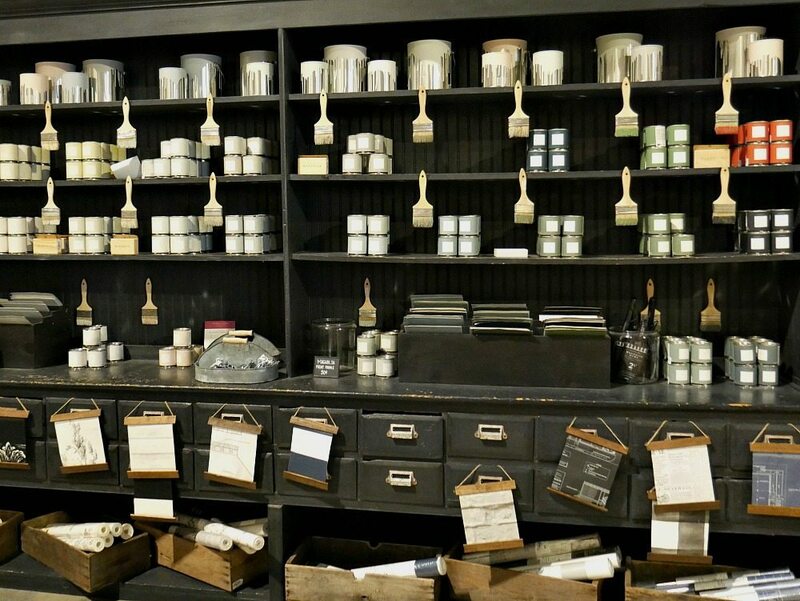 I apostles adore this paint display. 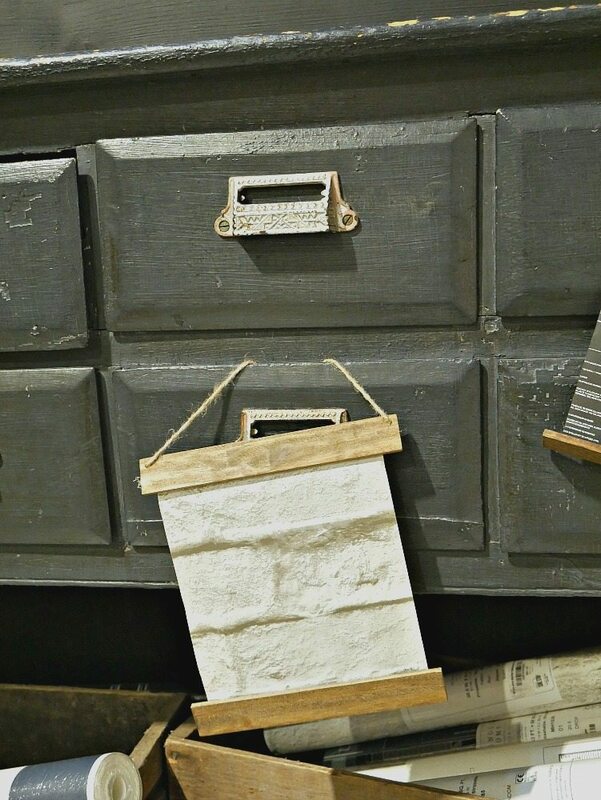 This huge piece is absolutely stunning and I love all the dipped paint brushes and wall paper samples on the drawers. It’s little details like this that really draw you in and make you feel welcomed into the store. Venturing outside, they have the most beautiful garden. I’m not much of a green-thumb, but if you are you can buy the Magnolia seeds here. 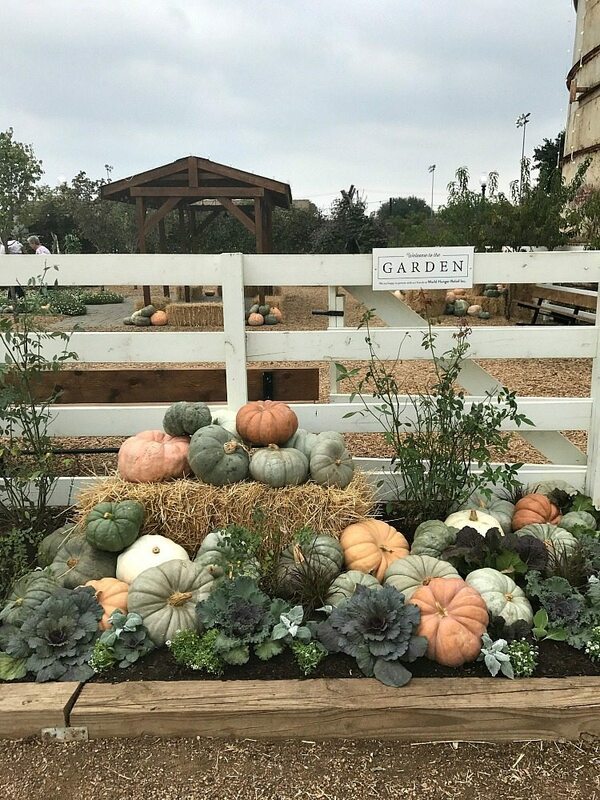 I was just amazed at the beautiful grounds and I love seeing all of the pumpkins on display. I also really appreciate how they turned the center of the block into a big community area for families. Where you can play yard games, eat at the food trucks on the picnic tables and even stick around for one of their concerts or movie nights ( I wish these were going on while we were there! The once place we didn’t get to go into was the bakery. The line was wrapped clear around the building the whole time we were there and I couldn’t eat any of the treats anyway with my food allergies so we skipped that. But the building sure was cute. You dirty dog ,how could you, lol. Hope you guessed I was just joshing with you. Am so envious as I would so love to get to see Magnolias, get to shop, there to be honest. What a fun trip in conjunction with the Pinners conference. So glad you shared wonderful photos of all you saw. Hope you’ll be telling us about the Pinner conference. 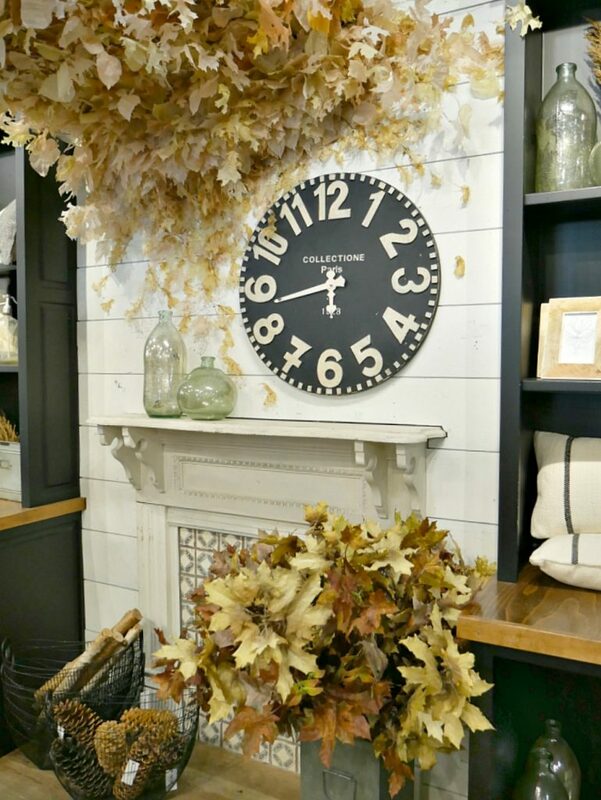 Love all the pics of Magnolia Market in the fall! I went in the spring and it was equally as beautiful but a different look for sure. I added it to a Austin trip as well and am so glad I did! I loved it all so much but agree that it was smaller than I thought it would be. On a different note, your shirt is sooo cute! Where is it from? 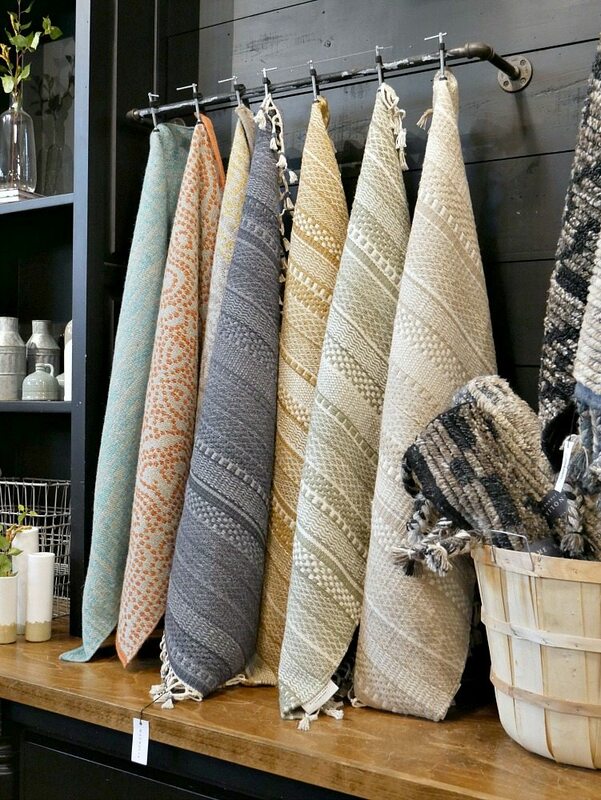 Oh I would love to see how the shop is styled for each season! I bet spring is beautiful. My top is from Nordstrom Rack! I’m curious what day and time you were there? The time I was there which was during the week the line to get in the store went all the way across the front of the building and then like halfway down the side and I had read that wasn’t unusual. Needless to say I was surprised when I saw your pictures and there were so few people. I hope you enjoyed your visit to our great state. I’ve lived in the Dallas area my entire life. Hi! Yes! I absolutely LOVED Dallas, you are so lucky to live there! I went on a Thursday and we got there around 3. The shop wasn’t that busy, and the grounds were busy but not packed by any means. But the bakery had a line wrapped around the building. We didn’t go into it because of the line. The bakery had a really long line as you say when I was there as well so we didn’t go in either. It was fun visiting though. I want to head down again; there’s a yummy food truck I want to visit. Nice write-up but please don’t miss the charming shops and eateries near the Magnolia complex. Waco is teeming with places to see! Mary Avenue Market, the Findery, Lula Jane’s bakery and Baked Bliss…both are local and excellent! 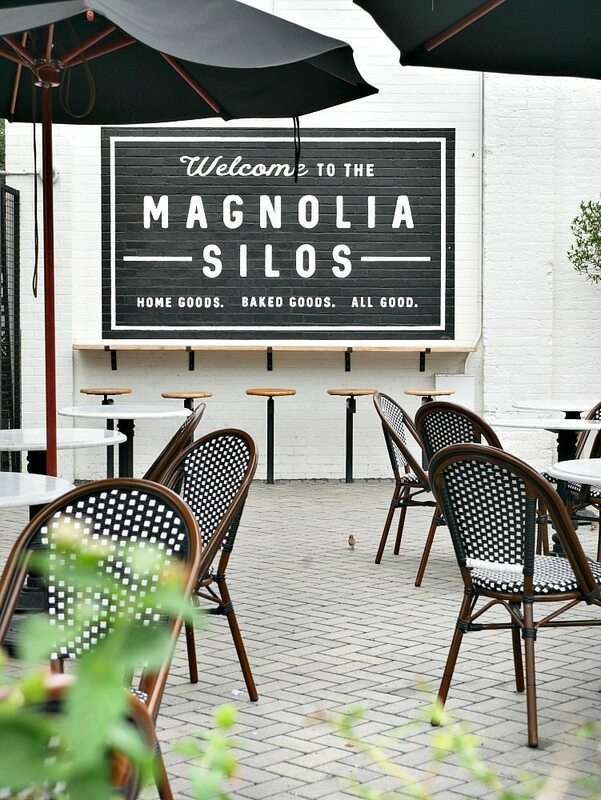 Enjoy Magnolia, but step away and enjoy the local flavor. Lots of restaurants in the area, too! Homestead Heritage is a destination in itself, about 20 minutes NW of downtown. I did go to the Findery! It was cute, thanks for all the recs!